Graphics and Animations are an essential part of the iOS User Interface. From a UX standpoint, it lets users know that something has updated or moved on the screen. From a Design point of view, animations are a fun way to draw attention of users and make your apps interactive. This is the extra value that will make your application stand out from others. The goal of the video course is to teach techniques, from simple to complex, to create nice animation effects, bring life to iPhone apps, and offer an awesome user experience. 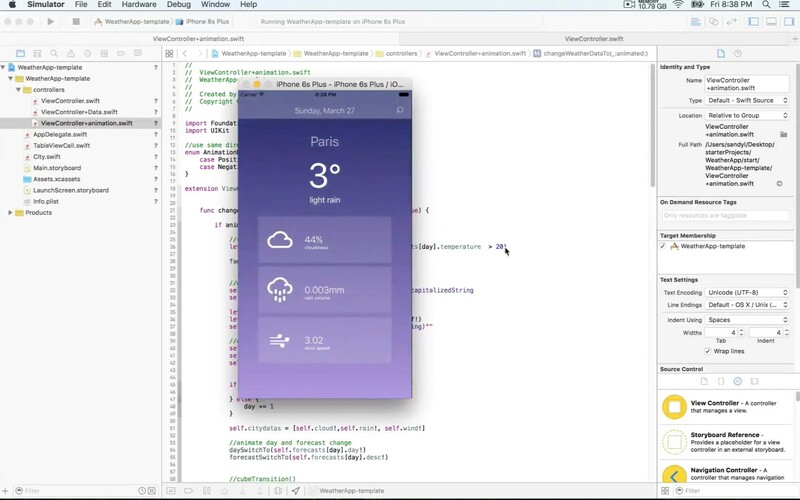 This is another aspect of the iOS SDK that will make you enjoy iOS development even more. In Section 1, you will set the stage for basic, yet very cool, animation effects with Basic Animation APIs of UIKit to animate move, size and color. 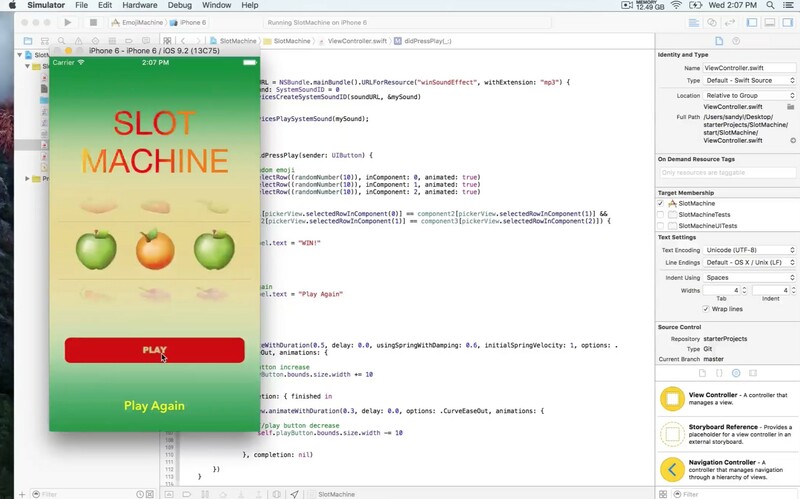 The first demo will show you how to animate objects on the UIKit. You will greet users with move and fade animations, create and adjust animation easing to customize visual effects. Section 2 covers layer animations and the Core Animation API. We will dive into higher-levels of UIKit methods to animate view layers and create cool visual effects like gradient and shape animations. We'll replicate the twitter the splash screen as an example of the powerful things you can achieve with view layers. In Section 3, you will learn techniques to create your own custom view controller transition and presentation. By the end of the section, you will have created your own custom controller presentation controller with a picture gallery. 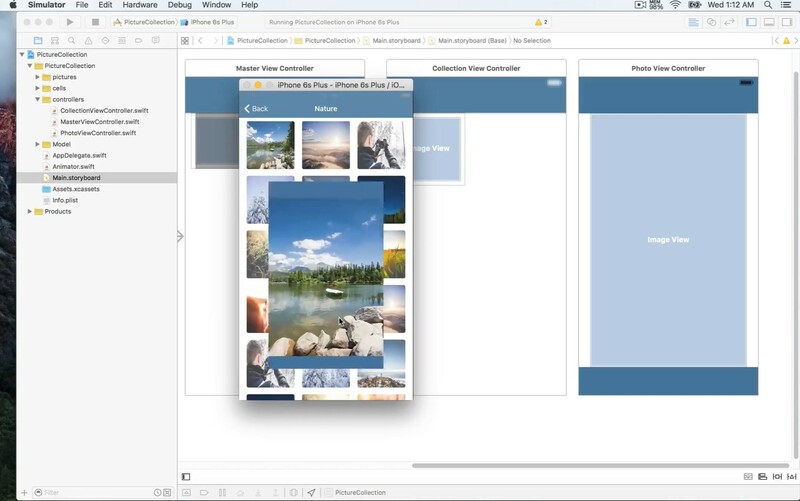 The Section 4 walks you through a Weather App tutorial with tableView rows animation, crossfade and cube transitions. We will use new techniques of transform, cross dissolve and fade animations to take your experience with iOS UI to the next level. Each section includes project-based demos and a finished app that you can showcase in your work. You are going to learn how to use view animations and how to convert a simple view into an awesome view. You will be introduced to iOS 9 iCore Animation to create an eye-catching splash screen and some other extras to set your app apart from others. By the end of the class, you will be well prepared to turn any views into and interesting, attractive, and fascinating user interface. 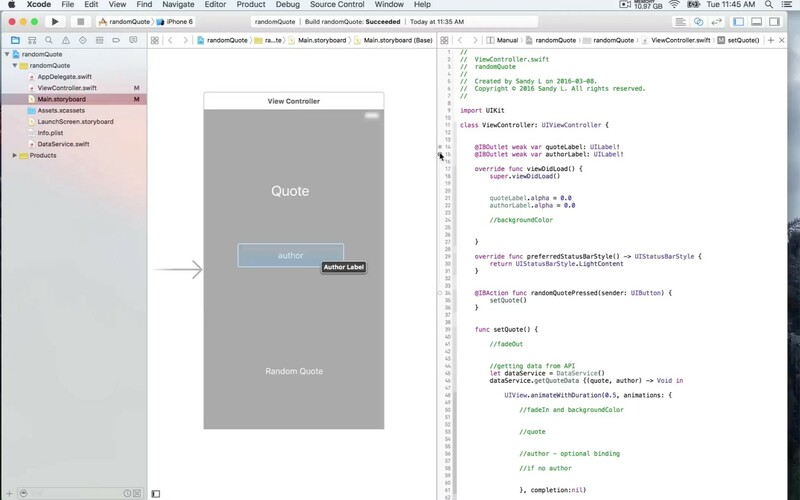 Note to Students: This class is a beginner's guide to iOS Animations, but please note that the class requires basic knowledge of the Swift language, XCode and the iOS SDK. For the best learning experience, students should know how to start a project, run a project on the simulator, use the interface builder, and understand Swift. 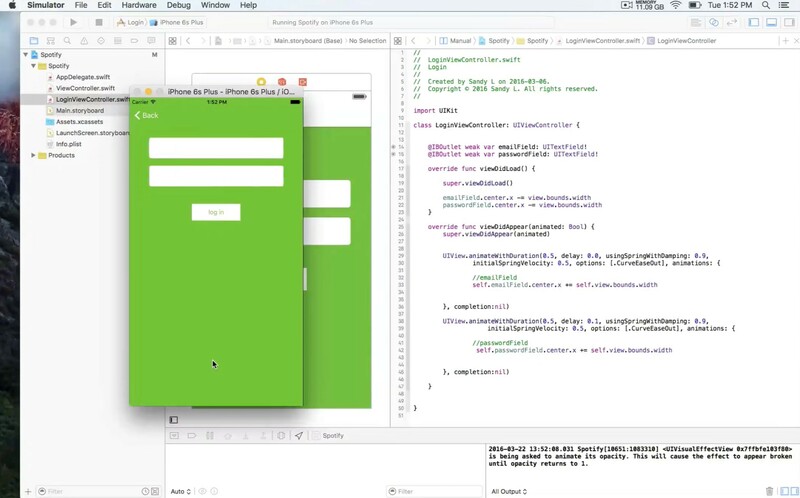 Now, be ready to take your iOS Development to the next level.